Before smartphones, parents worried that babysitter would empty their fridge and try out their expensive clothes. But today’s parents are more concerned that their sitter is spending all their time tweeting and instagramming rather than taking care of their children. The most crucial thing is ensuring that your kids are safe while being taken care off by someone else. But phone can be a distraction that can have tragic consequences. Recently, a two year old child drowned while being under the care of two sitters who were busy on their phone and did not realise that the child slipped into the pool. While this incident might be a tragic one, there are less severe incidents, but still disturbing, would be to find out that your baby sitter have ignored your child all night. You probably would have told your sitter what time TV and games should be switched off. Do not forget to let them know that they should not be showing videos or images from their mobile phone to your children. Most sitters would know between what is or isn’t appropriate, but reminding them would do no harm. If your children already have their own mobile phone then let your sitter know about their phone rules. For instance, no telephone allowed in the bedroom. 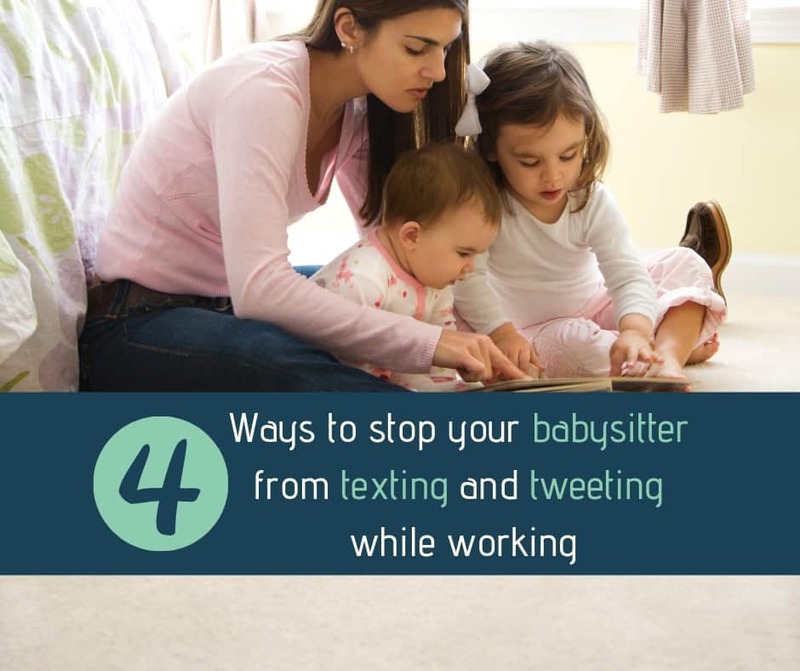 2.Your sitter posted your baby photo on social media, now what ? Taking photos and sharing it on social media is normal part of everyday life. Your baby sitter might not realise the dangers of sharing children’s images online. She might take a photo of your baby doing something cute and posting it on Instagram. Let your sitter know that you are not comfortable with this and ask her to take the photos down. You can also talk to her about the dangers of sharenting so your sitter understand why you feel uncomfortable and not be offended by your reaction. 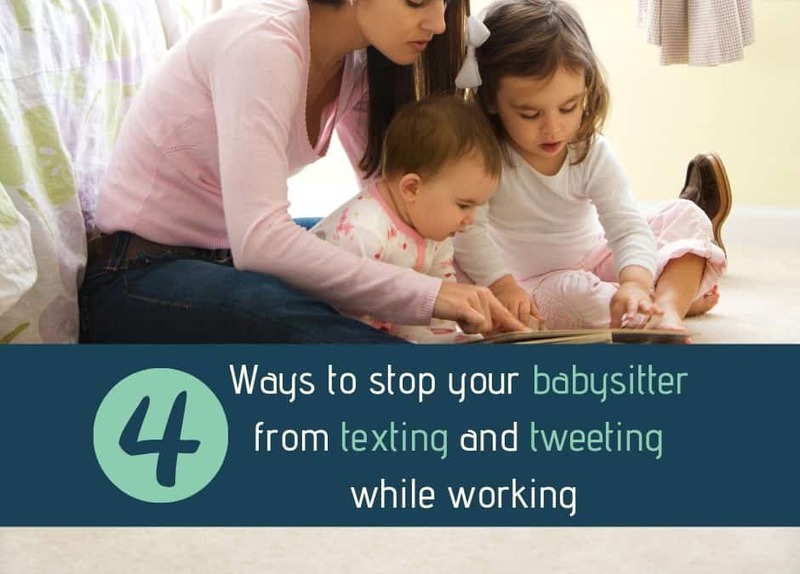 Younger babysitters grow up with mobile phones, so do not expect them to not be using their phone at all. It is handy to let them have their phone with them incase you are running late and need to contact them. Set realistic expectation as too when they can use their devices. For instance, once the children are in bed. Working with “highly connected” sitters means having to understand their behaviour and letting them understand yours. While you might not be using Facebook at work or texting friends, do not assume they will be doing the same. Once you have set the rules, discuss it with them and make it as part of their job requirement. 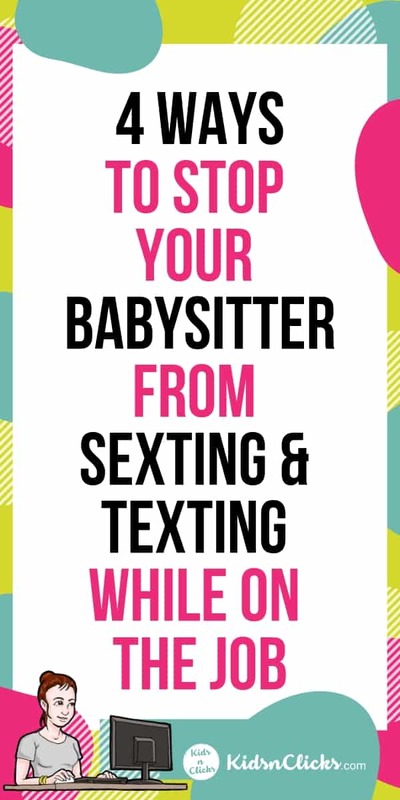 There are babysitter phone contracts that you can download and make them sign. If they break the contract, do not feel bad about letting them go. As hard as it is finding a good sitter, you do not want someone who ignores the rules you have set for them even when it comes to mobile phone usage.